Office 365 Developer "coming soon"
Azure Active Directory rights "coming soon"
Upon converting to subscription you can choose E1 and as few as one user, which would be $10.00 per month. By default Trusted Tenants, means you can IM other lync users outside your domain who are also using Office 365 HUGE! By default, Office 365 user passwords are set to expire on a regular basis. When your password expires you are notified at sign-in. If you forget your password, you must request a password reset from an Office 365 administrator. Your administrator will provide you with a new temporary password to use the next time you sign in. If you are the only Office 365 administrator in your organization, contact Support to reset your password. Already signed up on a Trial? Make 5thNK your partner How to! Payments are made directly to Microsoft via Credit card. If you bill out $500 per month you can change to invoice. 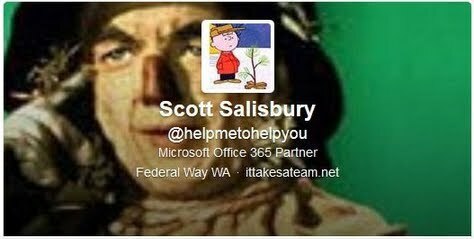 All trial accounts have .onmicrosoft.com As in Peter.Sands@dutchwind.onmicrosoft.com Once you move from trial to the REAL DEAL, the .onmicrosoft.com is eliminated. Once live your account for email send receive would be... Peter.Sands@dutchwind.com or Peter.Sands@(your domain you already own) Also pick any domain name you want to use for this trial =Sandbox account! In computer terms sandbox means you can send/receive from this account, it is for you to play with as in "the sandbox." So no worries create several sandbox accounts! Have fun! MS has set these trials up to give you the full experience, thus E3 for instance! When you convert to your live account you can choose E1, or E2 and choose from 1 user to as many users as you wish. When you convert your Trial to a REAL account you can choose any plan with any amount of users. Sign in and get started today! During your trial, you'll have the opportunity to try out Microsoft's most trusted communication and collaboration products, all brought together online. Sign in with your Microsoft Online Services ID to get started setting up and managing your services. Thanks for trying Microsoft Office 365. We look forward to helping your organization discover how Office 365 can reduce costs and provide greater value through our communication and collaboration services. Are you the correct person to be receiving this email? Learn Moreabout setting contact preferences. If you have a partner, they can help. If you need a partner you can find one here. Add office365@microsoftonline.com to your safe list. View as a webpage. Office 365 lets you access all of your information - documents, emails, and calendars on virtually any PC, phone, or browser*. Try it today! You can configure up to 25 user accounts with customizable, role-based permissions. Gain a better understanding of how well cloud services will work for your business by creating a pilot group of users within your organization. Encourage your pilot group to download Microsoft®Office Professional Plus and set up and configure your Office desktop applications to save Microsoft® Word, Microsoft® Excel®, Microsoft® PowerPoint®, and Microsoft® OneNote® files directly to SharePoint, as well as access and send email from Microsoft® Outlook®. The ability to connect anytime, virtually anywhere is one of the core benefits of Office 365. Encourage your pilot group to connect their mobile devices* and access their documents, contacts, email, and calendars from virtually anywhere and any time. Learn how to set up your services and discover the many features and benefits of Office 365. View the video tour. Check out these suggested steps and learn how to make the most out of your trial by downloading the guide. Get support, 24 hours a day, 7 days a week. The Office 365 trial gives you the opportunity to experience the benefits Office 365 can bring to your organization. In the next few weeks we will be emailing you with more tips and tricks on how to use Office 365. Participate in the Office 365 Community to get your questions answered and join the conversation. Need help exploring your trial? Contact 5THNK.COM at scott.salisbury@5thnk.com today. Move to next-generation communication and collaboration services with confidence. With Office 365 your business has access to the power of enterprise-grade tools at a predictable monthly cost, without an upfront infrastructure investment. Office 365. Ready for work. Whenever you are. Office 365 offers great flexibility with plans priced from $10 - $27 per user per month. We recommend 99% of time E Plans why? click here! Q. How do I buy a subscription after trying Office 365? When you buy subscriptions after participating in a trial, you can either purchase subscriptions that you were in trial with, or you can choose other subscription options. For example, if you were in trial with Microsoft Office 365 for midsize businesses and enterprises, you can buy a subscription for Office 365, or you could instead buy a subscription for Microsoft Exchange Online or Microsoft SharePoint Online, or both. When you buy a subscription, user accounts created during your trial subscription are automatically included. If you buy other subscriptions—subscriptions that you were not in trial with—you’ll need to assign users licenses for the new subscriptions after you make your purchase. We encourage you to buy the plan family (Plans P or E) you want to move forward with in the future. If, after purchase, you decide you want a plan from a different family, you will have to cancel your subscription and then buy a different plan (e.g., cancel your subscription to Plan P and then buy Plan E). Please be aware that your data may not be preserved, and you will have to provide sign up information again. Q. Will my trial information be transferred to my subscription? If you choose to buy any of the service plans you were in trial with, your data will be preserved for a seamless transition. For example, you can convert a Plan E3 trial into a subscription for any of the Plan E service plans. However, for example, if you participate in the Plan P trial and want to buy a Plan E service plan, your data may not be preserved and you may need to provide this information again. Q. How do I add more subscriptions after I purchase my trial subscription? To purchase additional Office 365 services in Microsoft Online Services, you choose one or more subscriptions from the catalog and then pay for the services by using a credit card or by requesting an invoice. Your subscriptions are renewed automatically every year. If you like, you can try a subscription first to see how the service works and then purchase that subscription later, carrying over any data or configuration you have done while in trial. To cancel a subscription, please call Microsoft Online Services Support. To see the phone numbers and business hours for support for your location, see Contact Support for a billing or subscription issue. Each subscription has a one-year term that renews at the end of the term. There is a one-seat minimum purchase requirement for an initial order and one-seat for any add-on orders. Office 365 What is it?